Honda's doing it, Chrysler's doing it, Ford is sorta doing it and now General Motors is the latest to offer a vehicle powered by compressed natural gas, only they'll be the first to have it in a full-size sedan. 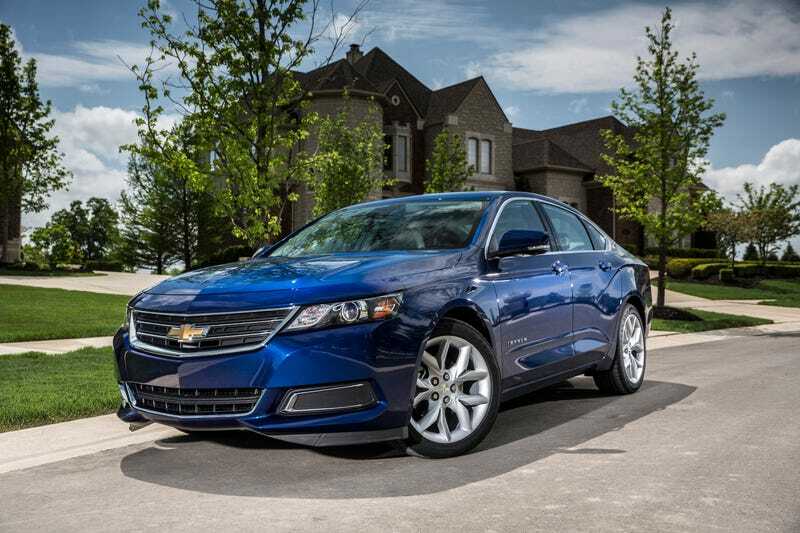 GM CEO Dan Akerson revealed during a speech at an energy summit in D.C. that a bi-fuel Chevrolet Impala will be available to both retail and fleet customers next summer, though we're guessing fleet customers will make up the bulk of these sales since the average driver has yet to grasp natural-gas technology. Like the Ram 2500 CNG, the Impala will run primarily on natural gas but have a separate tank for gasoline in the event the car's natural gas tank runs empty. The Honda Civic CNG remains the only car in the U.S. that runs completely on natural gas. Ford has natural-gas converters available for several of their models, most notably the Transit Connect. Akerson is calling for U.S. legislators to push forth natural gas-friendly policies. If you haven't looked around lately, it's tough to find a natural-gas station near where you live. And when you combine CNG and converted vehicles, only about 135,000 are being driven in the U.S.
GM knows it's not going to sell a ton of CNG Impalas so they've set their targets low, but combined with the Cruze Diesel, the Spark EV and the Volt, Chevrolet's got quite the engine portfolio compared to other brands.